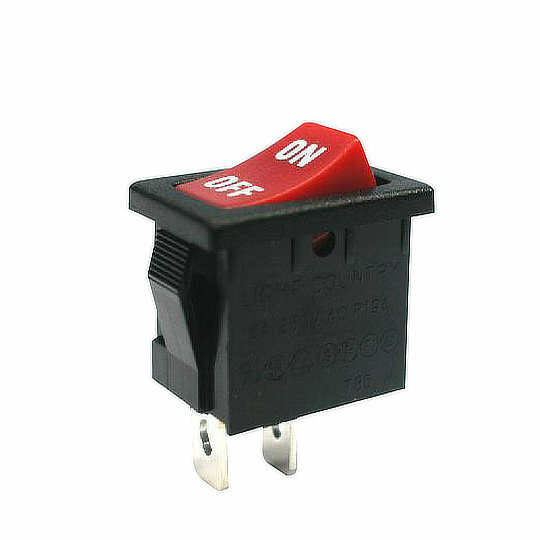 The RA series of power rocker switches by Dailywell are single pole switches offering single or double throw operations. The RA series is designed for panel cut-outs of 12.8mm by 19.3mm, are available with straight of 90 ° terminations and an electrical rating of 8A at 250VAC or 15A at 125VAC. The RA series of power rocker switches by Dailywell are single pole switches offering single or double throw operations. The RA series is designed for panel cut-outs of 12.8mm by 19.3mm, are available with straight of 90 ° terminations and an electrical rating of 8A at 250VAC or 15A at 125VAC. Available in 8 function variations including 5 momentary functions with LED illuminated actuators available for the SPST option. The RA series are also available in 3 different housing colours, 4 different actuator colours and 3 LED colours. The RA series is perfect for applications such as Home Appliances, Computer Hardware and Lighting Equipment.